I bet by now, you will know of my fondness for small bags. I rave on and on about them. But, it wasn’t always this way. There was a time in life when I viewed them as impractical. I couldn’t see how I could fit everything I needed with a teeny tiny bag! I had so much I needed on a daily basis, a small bag just could not do it for me! Does this sound familiar to you? Are you like that too? 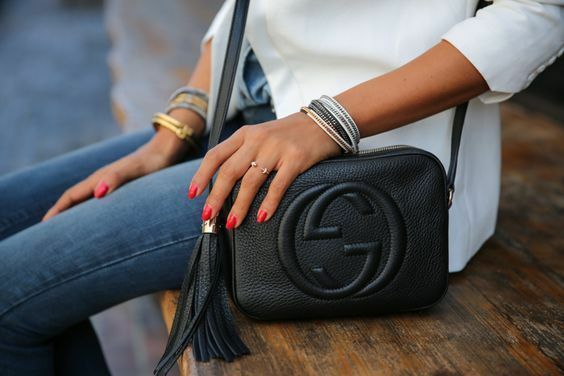 Well, here’s 5 reasons to convince you why small bags are the way to go! ONE. It ups your outfit’s look factor. This is number one on the list, because let’s face it. Bags are used as an accessory to an outfit. It’s a statement as well. How it looks on you is the biggest factor. I’m not saying practicality can be thrown out the window. But, since how it looks is the biggest factor. We will have to admit that small bags have a certain appeal that larger bags do not have. There’s just this allure. It makes you look effortless and refined. It also accentuate your outfit more. I find that larger bags for the most part tend to distract attention from an outfit rather than compliment it. This holds even more true for petite girls such as myself. Larger bags tend to swallow your presence. Besides, it’s more proportional for us petites. TWO. You can limit yourself to only essentials. How much do you actually need? Have you ever thought about that? There’s a reason why people are often told to pack only what they need. Why? Because we always think we need more than what you need. A small bag will allow you to think twice on what you need. Because, well… you only have so much space. Plus, you’ll have much more freedom and better mobility when you carry around a small bag! THREE. It’s puts less strain on your body. FOUR. It’s easier to manage. Remember that annoying moment when you dig inside your tote or big bag for something? You reach your hand in, and just keep trying to feel where that thing you’re looking for is! And well… you just spent a minute doing that, and now, your manicure is scratched by keys. When you use a small bag, you really don’t have to deal with this problem, because you will need to be organized in order to fit everything into it perfectly. This allows for easier management when you’re using it. FIVE. It’s cheaper than bigger bags! Isn’t this a winner right here?! This has got to be the best reason on the list right? Smaller bags are definitely less costly! And it has so many pros! It’s definitely budget friendly. What’s not to like about it? I understand that what kind of bag you need day to day will be different. But, where there’s a will, there’s a way! There’s no perfect solution to everything in life. But there’s always compromises and work arounds. In my next post, I will give you my own special trick on how to effectively use a small bag as a busy city girl. After reading my 5 reasons on why small bags are the way to go, are you convinced? What are your opinions on small bags? I’d love to hear from you! Leave a comment below! I am all about that small bag life. I don’t carry big bags anymore because I just find them so heavy and uncomfortable especially walking around in NYC. I have to agree with each point given here, small bags are lifesavers, and they also force you to minimize the amount of crap you stuff into your bag! I totally agree with this! I think small bags just look nicer but also helps you minimize. You don’t really need the stuff you carry around in a big bag anyways! Yes! Glad so many people agree with me! ha! 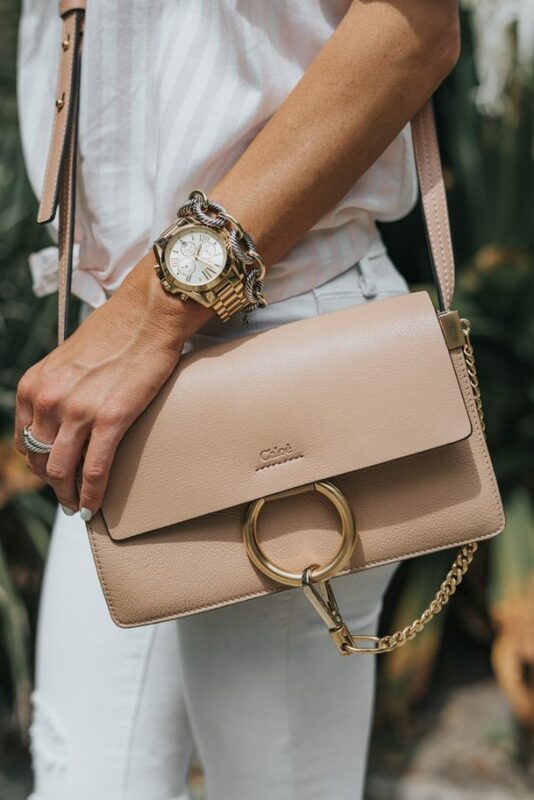 I totally agree and that Chloe bag is AMAZING! i think i need to buy a small one now. they look really nice. Yes! They really accentuate your outfit. I love carrying around a small bag, it forces me to carry around only the essentials! That’s awesome! Which bag did you get? I am totally determined to have a black quilted Chanel bag at some point in my life, so classic! Yes! They’re classic and a must have! I totally agree!! I’ve been loving smaller bags lately! Looks like I need to go shopping for a smaller bag! Great tips! Yes it’s super awesome! <3 Saw your IG pic of it. Gorgeous! I recently jumped on the “small bag” bandwagon and I love it! I received a Michael Kors Selma bag (the medium size is small) and I adore it! That Chloe bag is adorable. I was just talking about my Chanel bag yesterday and that it was only big enough for my coin purse and lipstick, but it was liberating not to have to carry so much stuff. Ugh! Next thing on my list is a small bag! 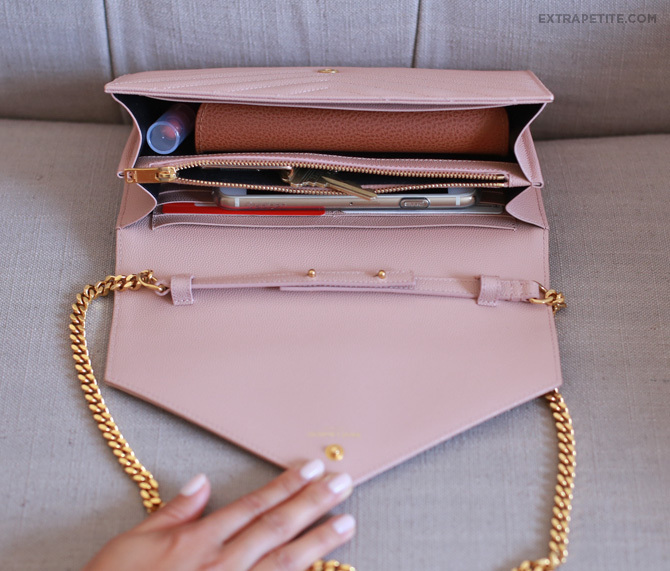 It’s a must….my big bag gets so cluttered. Or I’ll just become THAT mom and carry a backpack! Omg yes! I’m slowly moving onto the smaller bags. Not too small yet, but baby steps! I find that I don’t need as much as I think! Looking forward to your list of your favourite small bags!! I’ll be looking forward to seeing how you organize a smaller bag, and how you choose what’s really “essential.” I’m one of those women for whom SO MANY things are essential, so I actually have one of those handbags you hang from your forearm that’s about the size of a mid-sized tote. It fits everything I “need” and I love that, but sometimes I really would like to be able to get away with a smaller bag. I totally agree! I always find myself digging and digging inside my big bulky bag for my wallet, of all things! Yes, give it a try. You’ll be a convert! How awesome. I’m glad! I agree that it can be challenging when you have kids! Tough to appreciate as a guy. But I chuckle when I see my wife laboring over what purse to wear out. She does what you say most of the time. Aw thanks for dropping by even though you’re a guy! Cheers to your wifey! I feel the same way with carrying small bags! But sometimes, I opt for the big totes so I can bring everything. It really depends on the occasion, but your reasons are very on point! I agree! Next Monday I’ll be posting about how to bring everything even with a small bag! I love small bags and I used to have some when I was younger, but after having my son, my bags just got bigger. Small bags are not only cute but are easy on the shoulders! Yes. I understand it’s hard when you have a child. But cheers to those date nights when you can be load free! I used to carry around giant bags until I realized I was getting shoulder pains and that most of what I was carrying was completely unnecessary. I love that Gucci bag you’ve pictured! Thanks for posting this, as my purses get to big sometimes. The worst thing for me is not being to find my keys! Beautiful bags btw I loved them. Yes and if your mani gets chipped from it… oh the horror! I used to love small bags, until I had kids lol. I still use my small bags when I am going out alone (rarely) but it seems like big ones are a must for now. So pretty! I do have a small bag in the shape of a book. I love it. I always love to carry small bags.But,nowadays with a kid,I use bigger sizes to keep his essentials too.. I love this post, it has so many valid points. I know I truly enjoy a manageable bag. I feel like I lose my mind with a giant one. These bags are very cute. I have a small coach bag and I just need to start using it. I always feel like I don’t have enough space in them. I guess it wouldn’t kill me to leave some stuff at home. These little bags are so cute. I could manage with a smaller bag on the days that I am child-free. Other than that, I need my huge bags for nappies and baby wipes!. You did a great job highlighting the 5 mains reasons why you should use a small bag. I completely agree with you on your second point, that your are forced to limit your belongings that you can bring. I do find myself using small bags more often because it dose “up my outfits look factor”. You’re right about the small bags and wow they do look quite amazing (the ones you’ve shown) ! I definitely need a small bag 🙂 I’ll have one! Thanks for following me via Instagram dear! I already followed you back. I dunno what’s wrong with my comments here in wordpress but they’re getting marked as spam (and you might need to approve them first or unmark me as spam) or they get auto-deleted. *sobs* So now I am commenting wth a different email and I used my Instagram as my website address instead of my blogspot just to get this comment go thru. Hope you get this. I am now following your blog as well via Bloglovin and added you to my Blogger Reading List (since I can’t find a GFC button – I think that just works for blogspot sites now and not wordpress hehe) … so this way I can keep updated with your posts. 🙂 Hope you follow me back here dear! Keep in touch! I love that you mentioned that it puts less strain on your body! I don’t think we realize that we’re literally carrying around weights all day when we use those big oversized bags. It can’t be good for our backs and posture! I can’t agree more! Last month I bought a Saint Laurent woc and I’m loving it so much! These are good points. I’ll have to reserve my small bag purchases for post-toddlerhood however…as attractive as they are, I highly doubt I can fit diapers, change of clothes, wipes, sunscreen, snacks, toys, etc…all in that lil thang! Small bags do look a lot better but it can be hard to minimize all your stuff to fit. It is alot easy on the back though so maybe worth going smaller next time. I am with you on those smaller bags. Then again I’m a guy and generally do not have a “bag” on me unless it’s a backpack. But I remember my mother having them and the purse just seemed to grow larger year after year. At one point I felt like it was a black hole that you couldn’t stick your hand down for fear that you would lose it in the bag. Those big bags just scare me. I cannot survive going out with a small bag because of my twins but there are days wherein I would prefer a smaller bag especially when we’re traveling. It’s good to have options, to be honest. And that’s why I also buy small bags for myself. I couldn’t agree more with you! Actually, I own few of these bags I saw in your post. I love little handbags and these are all super cute. My daughter really loves them too! Smaller handbags look nice. Perhaps you can provide suggestions in your next article re which small handbags are most efficient if we have many essential items to carry. I’m almost sold to go pick out a mini-version of the battle bag I currently carry.. Thank you!! Great post! I prefer smaller bags because they are more comfortable for me and they will help me because I can only pack the essentials. Theyre also great because they are more affordable!